“My Future” which a bowl of ramen opened up. Visiting Mr. Kimura, the champion of the 3rd “Ramen Championship”. 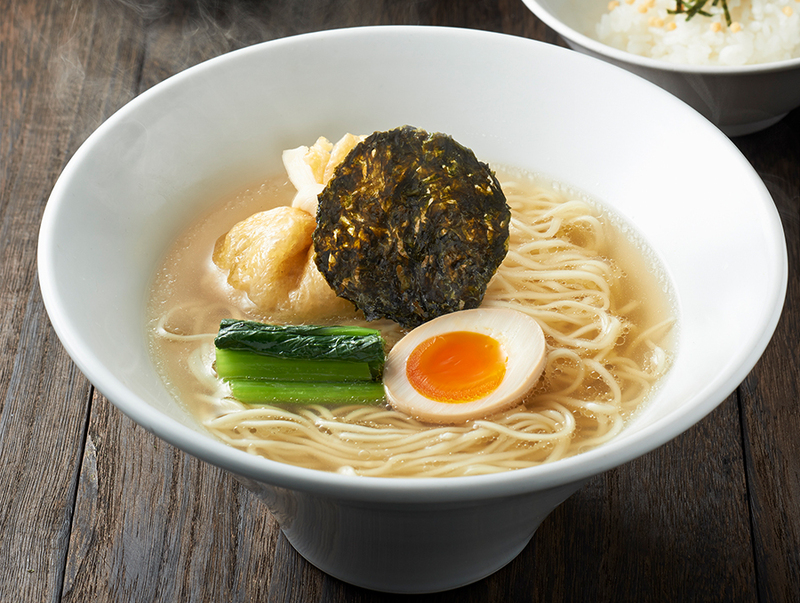 In May 2015, at some Ippudo stores they offered a limited ramen called “Umami Nori Dashi Soba”. Do you know that this was a bowl of ramen created by a ramen chef who had no connection whatsoever with Ippudo. Actually, this ramen was the winner of “Ramen Championship”, a creative ramen contest organized by Chikaranomoto Holdings which operates Ippudo. This time “Ramen Championship” has changed its name to “World Ramen Grand Prix” and this year is the 4th running of the event. 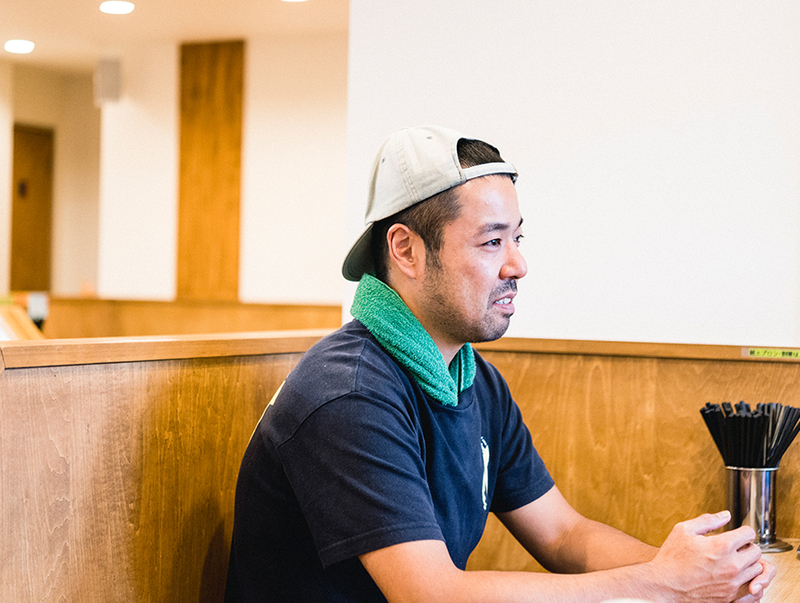 This time we interviewed Mr. Tomofumi Kimura who manages “Ramen Irodori” in Gifu city, Gifu prefecture. He is the mastermind behind the “Umami Nori Dashi Soba”. 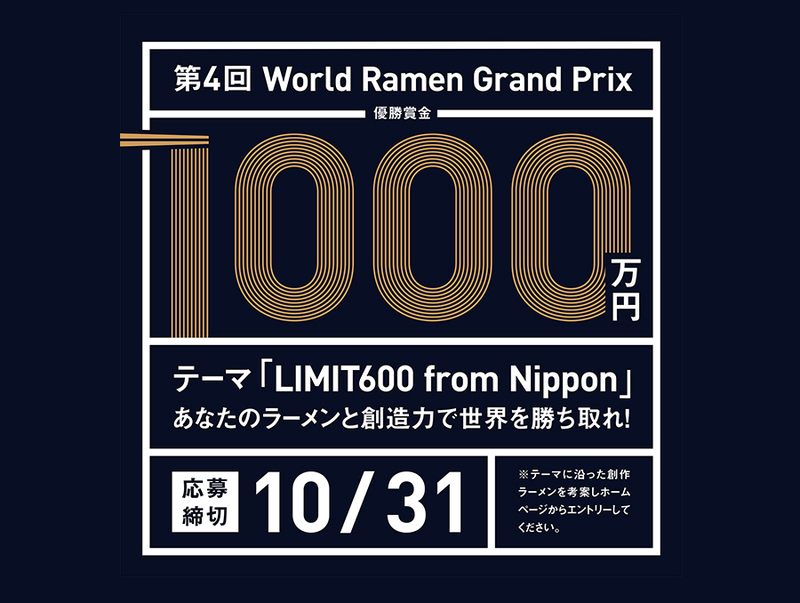 The slogan of “World Ramen Grand Prix” is “With just one bowl of ramen, you can change the era, the world and your own future”. We speak to Mr. Kimura, ramen chef who lives by this slogan. 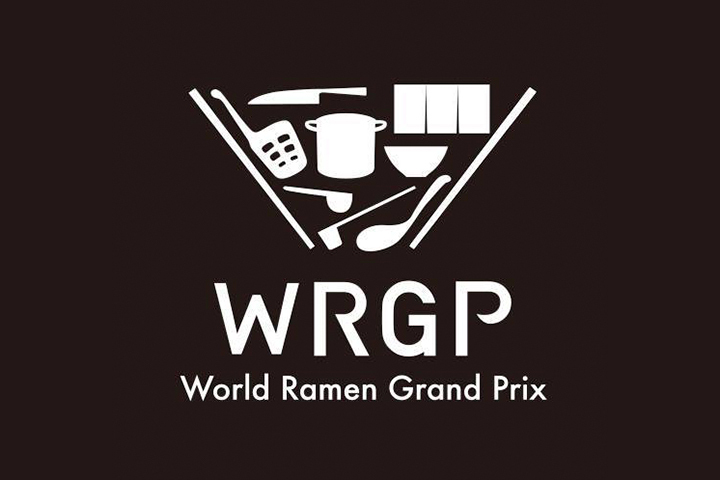 ※Until the 3rd contest it was called “Ramen Championship” but here in this article we will standardize it by calling it “World Ramen Grand Prix”, its new name. What is World Ramen Grand Prix? 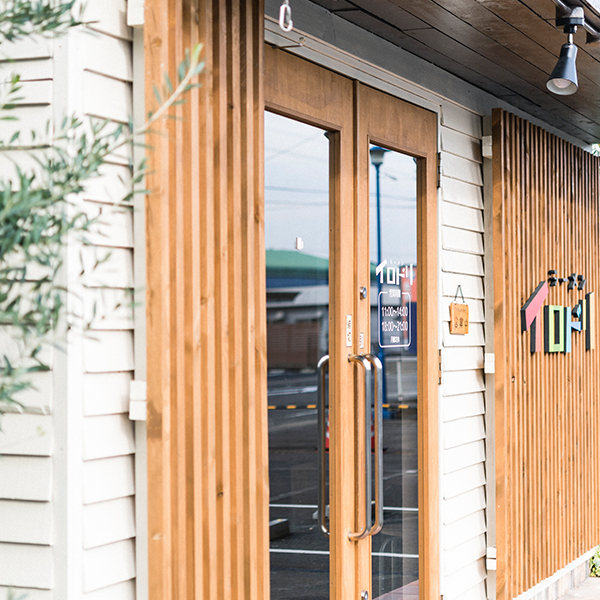 Approximately 10 minutes by car from JR Gifu station, in a quiet residential area surrounded by rural landscapes, there stands “Ramen Irodori”. 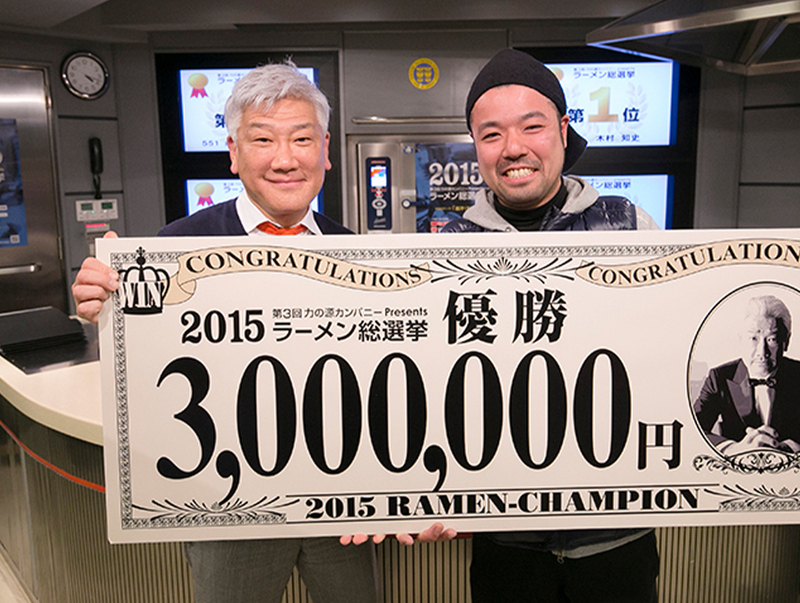 Mr. Tomofumi Kimura, the shop owner, is the winner of “The 3rd Ramen Championship (Currently called World Ramen Grand Prix)”, a creative ramen contest held in 2015. When he won the contest, Mr. Kimura was learning the ropes at “Menya Hakukshin”, one of the best stores in Gifu prefecture. In October 2016 he started his own business. 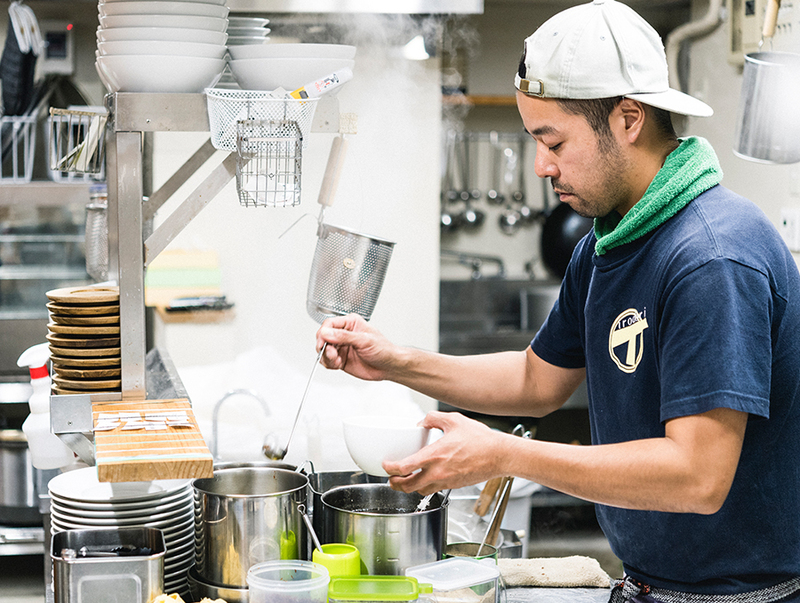 Every day he together with his wife Tomoko, are managing the ramen shop. Entering a road from prefectural road 152, as the store name suggests (Irodori in English means colorful), you see a colorful signboard. The nearest station is Meitetsu Hosobata station. Before the interview with Mr. Kimura, let me explain to you about “World Ramen Grand Prix”. Chikara-no-Moto Holdings, the operator of Ippudo, has been organizing this creative ramen contest called “Ramen Championship” since 2012. The 1st and 2nd contest was an in-house event and from the 3rd (the previous) contest they have opened up the event to outsiders. Not only from within Japan but they have many overseas participants and the event is getting bigger and livelier with each contest. 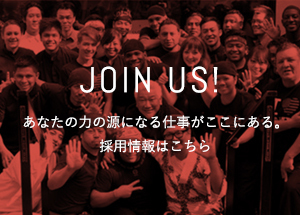 With the belief of “pursuing the infinite possibilities of ramen and discovering a new hero, world-wide, who will lead the ramen industry into the next generation”, the name has changed from this year to “World Ramen Grand Prix” and it is run by a new executive committee. World Ramen Grand Prix poster. This is a big event with the winner receiving 10 million yen. 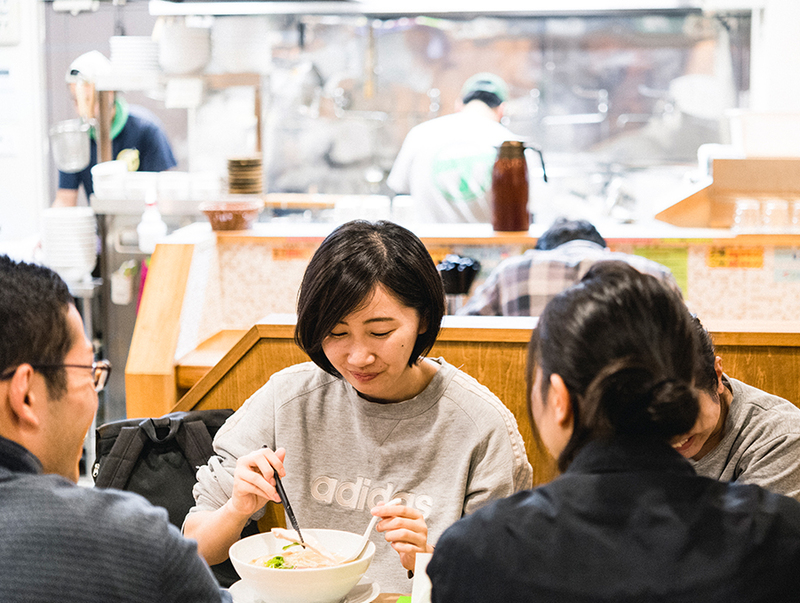 Each year an original theme is determined, such as “Vege ramen” and “Curry ramen” and the participants create that one special bowl of ramen using their skill and creativity to the fullest making sure they follow the theme of that year. First, there is document screening and if you pass that, you progress to the final screening where you actually present your ramen to the judges. Battle hardened gourmets including chefs with proven experience and ramen critics taste these ramens and whoever gets the most vote is the winner of the grand prize. Scenes from past “Ramen Championships” The 3rd contest was opened to outsiders, even from overseas. “Ramen” is what I have spent most money on. 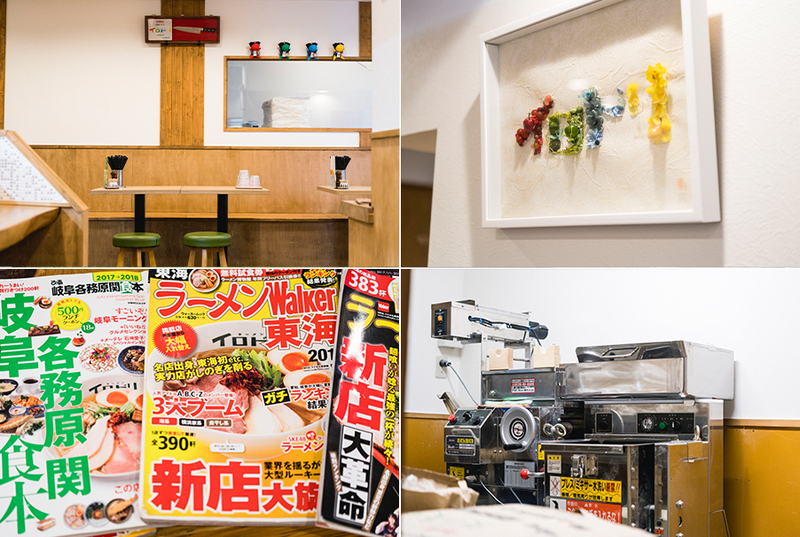 Having won the title of being the champion of the 3rd “World Ramen Grand Prix” contest, Mr. Kimura opened his own shop called “Ramen Irodori” which has been a life long dream of his. I asked him the reason he became a ramen chef, about “World Ramen Grand Prix” and what he has planned for the future. What made you become a ramen chef, Mr. Kimura? 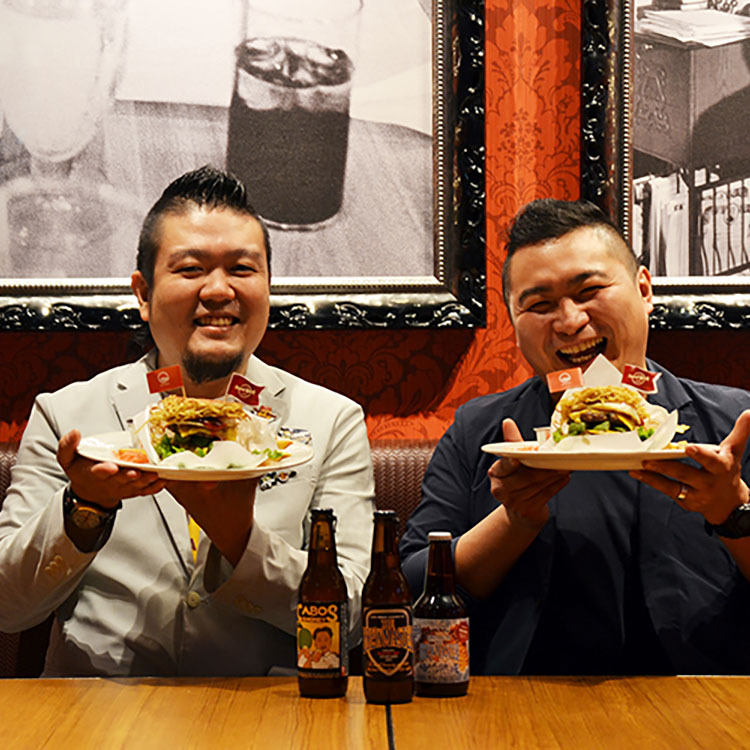 Kimura: I’ve always wanted to open my own shop in the restaurant industry and so straight away after graduating from junior high school I went to a vocational school. After that, I would work at a Chinese restaurant, a creative Izakaya and various other restaurants but there was always this sense of discomfort during that time. And, just when I happened to calm down and gather my thoughts, I’ve noticed that what I’ve been spending the most amount of money on was “Ramen”. I knew that it wasn’t going to be easy, but I found out that “Hakushin” was looking for a staff and I jumped at the opportunity. That was seven years ago. Kimura: If I was to make my own ramen I wanted to compete by making my own homemade noodle. At the time there weren’t many shops making homemade noodles and “Hakushin” was the first shop to do that. 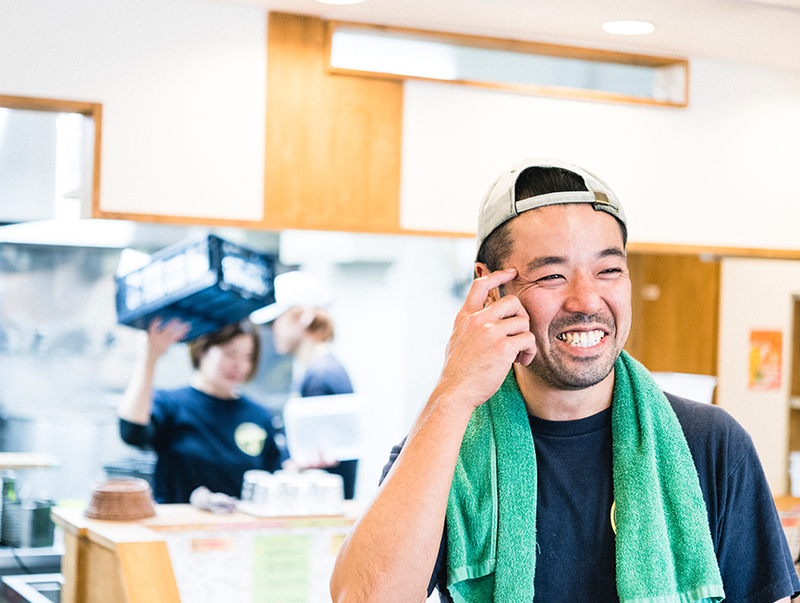 Mr. Ishigami, the owner of “Hakushin”, is also a person who takes apprentices with the premise that one day they would open their own shop and many staffs at Hakushin were those kinds of people wanting, one day, to be independent. Why did you decide to take part in “World Ramen Grand Prix”? Kimura: Mr. Ishigami, the owner, found out about it on Facebook and he asked the staffs if they all wanted to participate. I think most of the staffs applied for it. After the shop closed for business, they would make ramens and would offer opinions about each other’s ramen. Mr. Kimura, the owner of “Irodori” would always speak in a calm manner throughout the interview. A ramen making soup stock from “Nori (seaweed)” which is unheard of? What is such a ramen like? 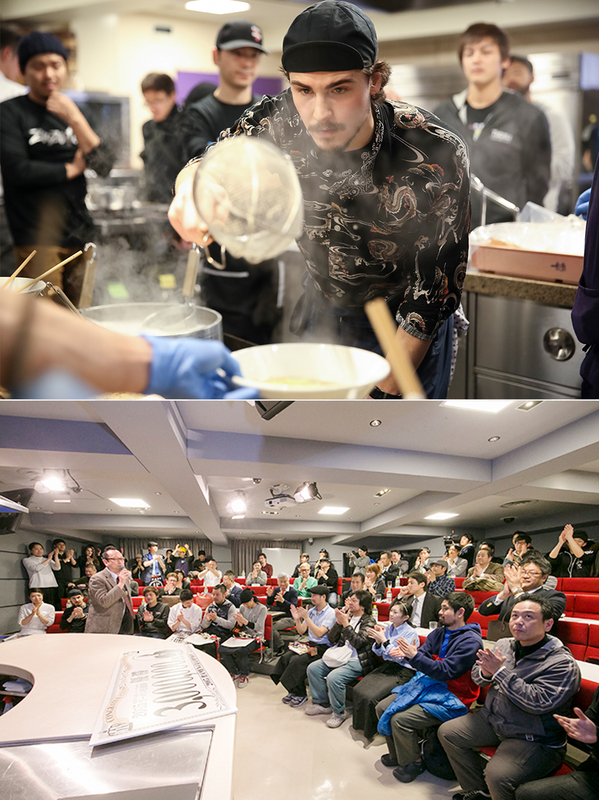 The theme of the 3rd “World Ramen Grand Prix” was “Dashi (soup stock)”. To be exact, they defined “Dashi” as soup including “Umami (goodness)” ingredients and the condition is that this “Wadashi (Japanese soup stock)” which form the basis of Japanese food such as Konbu, bonito and shiitake mushroom should account for more than 30% of the ramen soup. The theme was in no way easy, but Mr. Kimura came up with a ramen called “Umami Nori Dashi Soba”. It was a breakthrough attempt of, wait for it, making dashi from nori. How did the idea of “Umami Nori Dashi Soba” come about? Kimura:It is a big contest so if I do what is normal I would not have a chance, so I thought about trying to either “make dashi in a way not done before” or “make dashi using an ingredient which is unusual”. I’ve read books and studied about “Umami” and “Dashi” again and found out that you can actually make dashi from nori. This sounded interesting, so I attempted at making one. For the soup, Rausu konbu and sardines are used and just before serving you add the dashi taken from nori and that way you end up with a bowl of ramen full of nori flavor. Mr. Kimura’s “Umami Nori Dashi Soba” which won first prize. 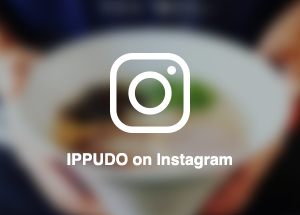 It was sold at 15 of Ippudo’s shops. How did it feel when you passed the document screening? Kimura:I was notified by email but to be honest when I saw it I trembled. Actually, that time, I was still looking for that special nori to use for my ramen. I tried various kinds, but it was difficult making dashi from nori. Just then I heard about a nori produced in Hamana lake which is only available in winter and when I tried it I was finally able to create a dashi I was satisfied with. What do you recall when the final judging was taking place? Kimura: I was very nervous. On the day we were to make a presentation on the concept behind the ramen. I am not really good at speaking in front of people and I actually don’t remember what I said (laugh). Still, Chairman Kawahara of Ippudo and the judges told me that it was a soup that they had never tasted before, so I was very happy to know that they understood what I wanted to do. Furthermore, including the other participants, it was great to experience something so stimulating. From the start, I thought if I can come in between 3rd and 5th place I would be happy so when I was told that I was the champion my mind went blank. Has anything changed since you won the contest? Kimura: I was still a staff of “Hakushin” at the time so, to be honest, I was saying to my self “Am I worthy of winning such a big contest?”. But, later on, there would be people from the same ramen fraternity coming to eat my ramen and also visitors coming all the way from overseas wanting to eat the ramen which won first prize and that is when I realized I have won the contest. I’ve always wanted to own my own store, so I felt that winning the contest has given me a push on the back. The winning moment when he said that his mind went blank. I used part of the winner’s purse for starting up my ramen shop. Soon after opening the shop, it immediately became a ramen worthy of all the attention. That is how Mr. Kimura opened his own store “Ramen Irodori” in Gifu city in October of 2016. 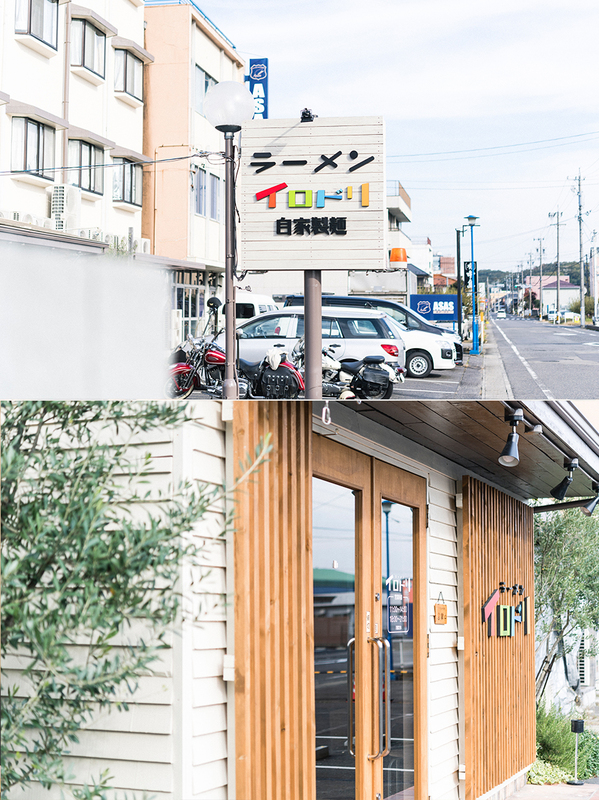 Although a newly opened store, it attracted lot of attention and it was on the cover of “Ramen Walker Tokai edition” issued last year. It was ranked no. 1 in the new store division. Already it is establishing a status of a store worthy of all the attention. What kind of ramen are you offering at “Irodori?”. Kimura: A chicken sayu ramen. The selling point is the soup using Okuminoko bred chicken which is a local chicken of Gifu and our home-made noodle using 100% flour from Hokkaido. Actually, this noodle making machine was purchased using the winning prize money from “World Ramen Grand Prix”. I would go to the shop at 7 am every morning to make the noodle. The main menu “Irodori Ramen”. A bowl full of goodness using Okuminoko bred chicken of Gifu. Aren’t you going to offer “Umami Nori Dashi Soba”? Kimura: Everybody ask me that but (laugh), because the nori can only be sourced at certain times of the year, I am offering it only in winter time. To me it is a ramen which is like a business card in a sense and there are many people who expect to have it, so I would like to cherish it and keep offering it. Looking back, Mr. Kimura, what does “World Ramen Grand Prix” mean to you? Kimura: No doubt it is the biggest things that’s happened in my life. Because I won that contest, my shop is attracting all this attention. When you come up with something, I’ve realized the importance of just doing it. That is what I did with “Umami Nori Dashi Soba”. There are times when it will not work but when it clicks it clicks. I believe that is what’s interesting about ramen. Also, by experiencing the contest, I have learned the quote “to continue changing in order not to change” cherished by Ippudo and this quote has also become very important to me. Actually, I am constantly changing the way I am making my soup as well. Although it may not be noticed by my customers (laugh). 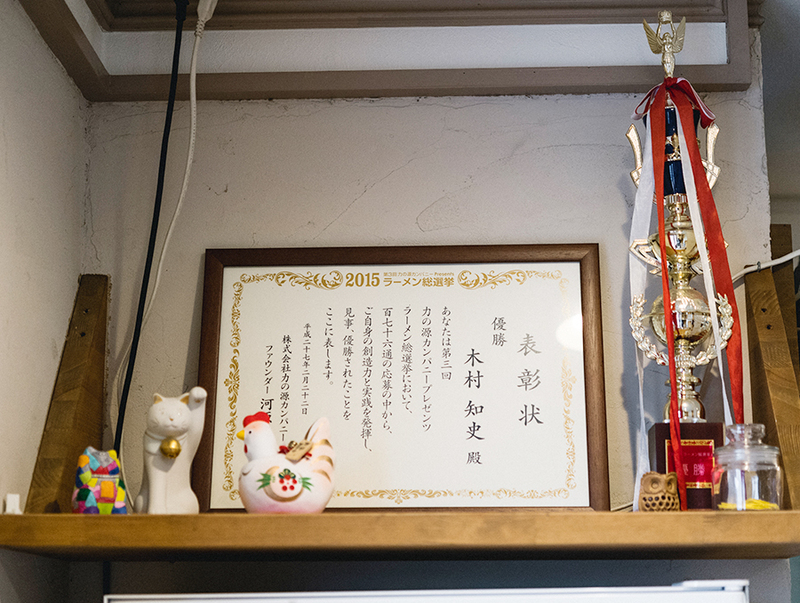 On the Shinto altar inside the store, there is the winner’s certificate and a trophy. He says that there are many customers who take pictures of them. Inside “Irodori”. There is also the ramen magazine with “Irodori” on the cover. On the day of the interview, there were customers of all ages visiting the store endlessly. 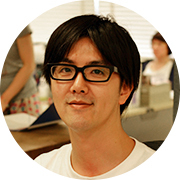 Kimura: First and foremost is to make my shop one that is loved by the locals. I sometimes feel the pressure of the store being the ramen store which won first prize but if I am too conscious of that, I would lose sight of myself, so I try to stay calm, to a certain extent. This is also where I’ve grown up so putting both feet on the ground, I would like to make it a store where even families with little children can visit. In pursuit of the next generation ramen hero. Although Mr. Kimura won the grand prize, he answered all my questions modestly and sincerely, not letting the accolade go to his head. His inquisitive mind and sincerity towards making ramen is alive and well and he spoke strongly about wanting to continue making new ramen and taking on that challenge. The next generation ramen hero who believed in the possibilities of ramen and opened up the future by himself. Even as we speak, Mr. Kimura is coming face to face with a bowl of ramen in a sincere manner. Born in Gifu Prefecture in 1982. Became a disciple of the “Ramen Hakushin” in 2010 after serving for various restaurants. Won the first prize at the third Ramen Championships (Currently called World Ramen Grand Prix) held in 2014. Opened his own ramen shop “Ramen Irodori” in October 2016.